Dr. Caroline McCall is a pathologist in Birmingham, Alabama. He received his medical degree from the College of Medicine at University of Arizona – Tucson in 1993. She completed the medical education with a residency in anatomic and clinical pathology at the Baptist Health Medical Center. She is certified by the American Board in anatomic pathology, clinical pathology, and dermatopathology. 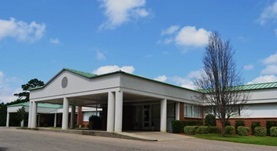 This doctor is affiliated with multiple hospitals, including Cullman Regional Medical Center, Jackson Medical Center, Brookwood Medical Center and Citizens Baptist Medical. She was awarded the honor “Top MD “ by the Consumers Checkbook.